Elizabeth II (Elizabeth Alexandra Mary; born 21 April 1926) is the Queen of sixteen countries in the world: the United Kingdom, Canada, Australia, New Zealand, Jamaica, Barbados, the Bahamas, Grenada, Papua New Guinea, the Solomon Islands, Tuvalu, Saint Lucia, Saint Vincent and the Grenadines, Antigua and Barbuda, Belize, and Saint Kitts and Nevis. She is the queen of each country separately, and all sixteen are independent countries. She became Queen when her father, King George VI, died on 6 February 1952. The countries of which she is Queen are known as Commonwealth realms. Their total population is over 129 million. Elizabeth II lives in the United Kingdom. In all the other countries where she is queen, a person has been chosen to represent her. This person is known as the Governor General. Elizabeth II is Queen and is interested in the running of her countries, but she does not tell the governments what to do. She has regular meetings with people from her governments, but it is they who run the countries. She performs ceremonies for the governments, gives out honours, and visits and supports many charities. Since 1947, the Queen has been married to Prince Philip, Duke of Edinburgh. Prince Philip was born into the royal families of Greece and Denmark. Just before they were married, he became a citizen of the United Kingdom, and changed his name to Philip Mountbatten. He became the Duke of Edinburgh on the day he married, and became a Prince of the United Kingdom in 1957. The Queen and Prince Philip have four children, eight grandchildren and four great-grandchildren. Elizabeth was born in London on 21 April 1926. Her father was Prince Albert. He was Duke of York. His brother was the Prince of Wales. Her mother was Elizabeth. She was Duchess of York. His brother, Elizabeth's father the Duke of York, became King George VI. Princess Elizabeth would one day be Queen. Princess Elizabeth married Prince Philip, Duke of Edinburgh on 20 November 1947. The wedding was held in Westminster Abbey. The couple lived mostly at Clarence House in London. The couple have four children. Charles, Prince of Wales was born 14 November 1948. Their second child is a daughter. She is Anne, Princess Royal. She was born 15 August 1950. The Royal couple had two more sons. Prince Andrew, Duke of York was born 19 February 1960. Prince Edward, Earl of Wessex was born 10 March 1964. The princes and princess often use the name Mountbatten-Windsor. This is their official last name. In 1951, the King's health was poor. He couldn't go to many public events. Princess Elizabeth started to make official visits for him. The King died on 6 February 1952. Elizabeth was crowned queen on 2 June 1953. The ceremony was held in Westminster Abbey. She wore a dress that was decorated with the national flowers of the countries of the Commonwealth. Her early years as Queen were spent traveling to many places. In 1953, the Queen and Prince Philip, began a six-month, around the world tour in the Royal Yacht, Britannia. She was the first reigning monarch to visit Australia, New Zealand and Fiji. In 1991, she became the first British monarch to speak to a joint session of the United States Congress. She goes to the Commonwealth Heads of Government Meetings. She is the most widely-travelled head of state in history. Recently, some people in Australia want a republic, with an elected or appointed President as Head of State instead of the Queen. In 1999, the people of Australia were asked in a referendum whether they wanted a republic. The decision of the people was to remain a monarchy. The Queen visited Australia the following year and said that she would continue to serve Australians as she had done for 48 years. Elizabeth II is friends with many world leaders. Her first Prime Minister of Australia, Sir Robert Menzies called her "My Dear" and recited a poem that said "I will love her till I die". She has friendships with Mary Robinson, President of Ireland (1990-1997) and George W. Bush, who was the first American President in more than 80 years to stay at Buckingham Palace. Nelson Mandela, in the BBC documentary, called her "my friend, Elizabeth". The Queen often meets with leaders from other religions as well. In 1980, she became the first British Monarch to visit the Vatican, where she was welcomed by Pope John Paul II. She made another visit twenty years later on October 17, 2000. 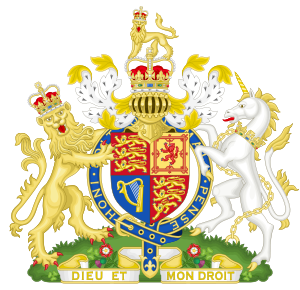 Queen Elizabeth II is Patron of "The Council of Christians and Jews" in the UK. In 1964, when the Queen was invited to Quebec, there were fears for her safety because there was opposition to her visit. There were suggestions that the tour should be cancelled. But the Queen's secretary said that the Queen would not want to be stopped from going to Quebec because of any danger. During the Trooping the Colour in 1981, she was shot at, but she carried on. It was later discovered that the shots were blanks. He woke her up, and sat on her bed, until the guards came to take him away. The Queen was sad about the broken marriages and divorces of three of her children, Prince Charles, Princess Anne and Prince Andrew. Prince Charles's marriage to Lady Diana Spencer was thought to be a fairytale wedding because she was young and beautiful. But it soon became unhappy, and after their divorce, she was killed in a car accident in 1997. On 9 April 2005, Prince Charles married Camilla Parker-Bowles, whom he had loved for many years. In the year 2002, within a few months of each other, the Queen's mother and sister, Princess Margaret, both died. As the Queen is old, people worry about her health, but she is rarely sick. However, she is leaving more duties to the younger members of the Royal Family, particularly to Prince Charles, who will become monarch on her death. The Queen's wealth is private. It is difficult to estimate how much she is worth. She owns Sandringham House, Balmoral Castle, and other large properties. She does not own Buckingham Palace, Windsor Castle, or the royal collection of art. These are worth millions of pounds. In 2010, Forbes magazine estimated her personal fortune at about US$450 million (£300 million). In 1977, the Queen celebrated her Silver Jubilee. This jubilee marked the 25th anniversary of her coming to the Throne. There was a royal procession in the golden State Coach. A service of thanksgiving was held at St. Paul's Cathedral. Millions of people watched on television. There were parties across the UK. Five commemorative stamps were printed. The Jubilee line of the London Underground opened in 1979. It was named in honour of the anniversary. On the following day, 20 November, the Queen and Prince Philip went on a visit to Malta, where they had stayed from 1949 to 1951 after getting married. A Royal Navy ship which was nearby, got its sailors to line up on deck, to form a big number '60', for the couple's sixtieth wedding anniversary. ↑ "Historic speeches: 21st birthday speech". British Monarchy Official Website. http://www.royal.gov.uk/output/Page4098.asp. Retrieved 2007-09-09. ↑ "Elizabeth II, Queen of Canada". Canadian Royal Heritage Trust. 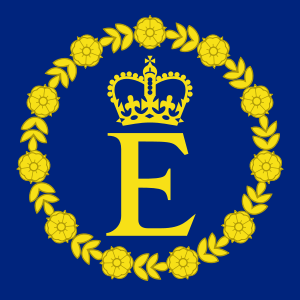 http://www.crht.ca/DiscoverMonarchyFiles/QueenElizabethII.html. Retrieved 6 March 2007. ↑ "1964 Quebec visit – speech". CBC. http://archives.cbc.ca/500f.asp?id=1-69-70-236. ↑ 7.0 7.1 Challands, Sarah (25 April 2006). "Queen Elizabeth II celebrates her 80th birthday". CTV Television Network News. Archived from the original on 30 May 2012. http://archive.is/wvpS. Retrieved 13 June 2007. ↑ Elizabeth II (25 December 2000). "Historic speeches: Christmas Broadcast 2000". British Monarchy Official Website. http://www.royal.gov.uk/output/Page4656.asp. Retrieved 9 September 2007. ↑ "Presidents, Vice Presidents and Board". Council of Christians and Jews. http://www.ccj.org.uk/Presidents.html. Retrieved 9 September 2007. ↑ "Queen 'will do her job for life'". BBC News. 19 April 2006. http://news.bbc.co.uk/1/hi/uk/4921120.stm. Retrieved 4 February 2007. ↑ "Courage of the Queen". Canadian Royal Heritage Trust. http://www.crht.ca/LibraryShelf/CourageoftheQueen.html. Retrieved 24 July 2007. ↑ "Queen celebrates Silver Jubilee". BBC News: On This Day. http://news.bbc.co.uk/onthisday/hi/dates/stories/june/7/newsid_2562000/2562633.stm. ↑ "In Depth: The Golden Jubilee". BBC News. http://news.bbc.co.uk/1/hi/in_depth/uk/2002/the_golden_jubilee/. This page was last changed on 30 November 2014, at 19:07.